For an in depth journey through the making of the Anne films look inside the Blu-ray Collectors Edition. The Costumes. Designing accurate 1930s period costumes was no small feat for costume designer Ruth Secord. There were numerous challenges in creating the costumes for Wind at My Back. The 1930s were a difficult time and there was a large disparity between the outfits worn by the rich, and those by the less fortunate. 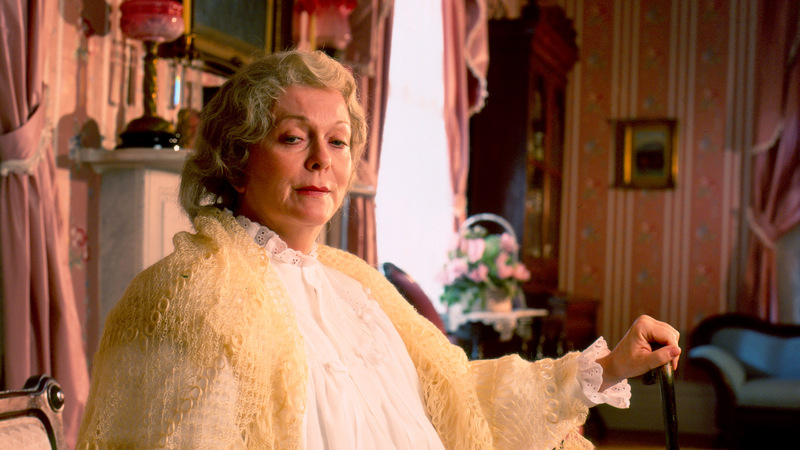 Outfits belonging to the successful Bailey family matriarch, May Bailey, had to look more expensive and refined than those belonging to the other townsfolk, while Grace Bailey’s wardrobe had to be more glamorous. The appearance of miners, store owners, everyday workers, and the sheer volumes of extras, had to look authentic, worn, and varied. Many of the costumes were custom-made by the Wind at my Back wardrobe department. The fast pace in scheduling (an episode was shot every eight days) meant that the costume team did not have much time to create specialty costumes for specific episodes and have them fitted for the actors by the time cameras rolled. 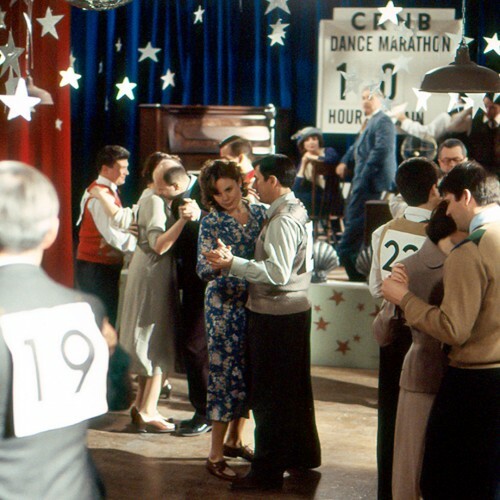 Episodes such as season 1, episode 8: “Train to Nowhere”, in which Max writes a play that the townsfolk perform, or season 3, episode 11: “Marathon”, where the characters take part in a dance marathon, required special wardrobes meant for the characters to wear as costumes or dress-up clothes. 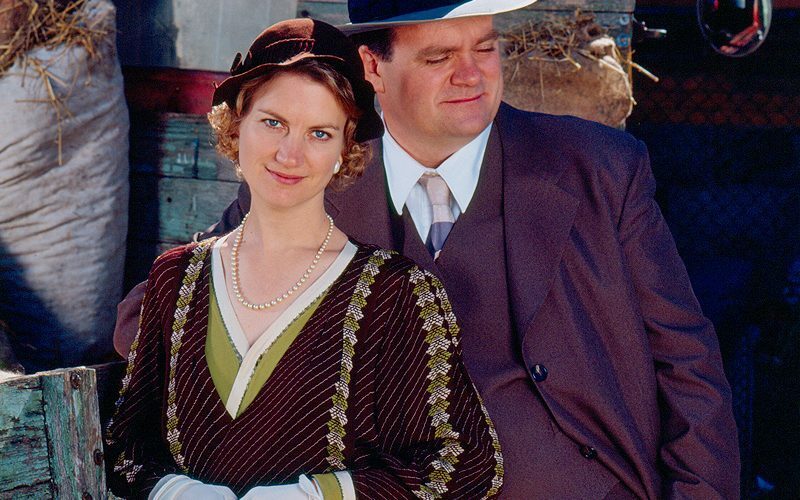 Luckily, Ruth’s experience shone through these challenges.Through the years, Ruth leant her expertise to a number of Kevin Sullivan’s productions, including Road to Avonlea, Butterbox Babies, Promise the Moon, Under the Piano and Anne of Green Gables: The Continuing Story. Set Design. Incorporating the Sullivan touch into the filming of Wind at My Back was left in the capable hands of Bob Saad and Brian Harper, Wind at My Back’s directors of photography. Using natural lighting and Chiaroscuro, which creates strong contrasts between light and dark, they were able to create this signature cinematic look. “Bob didn’t approach the series as a television show, but as a movie,” says Kevin Sullivan, series creator and executive producer for Wind at My Back. Brian Harper joined the crew as director of photography for the last two seasons of the show. He carried on the naturalistic and cinematic style of lighting that Bob had achieved, upholding Wind at My Back’s unique and authentic style. Several towns across Southern Ontario became the backdrop for Wind at My Back, including Tottenham, Bowmanville, Orono and Port Perry. To create a sense of authenticity in experiencing the 1930s, the Sullivan crew used existing structures and locations in local communities. The team also shot from people’s homes, town halls, churches, and local stores. 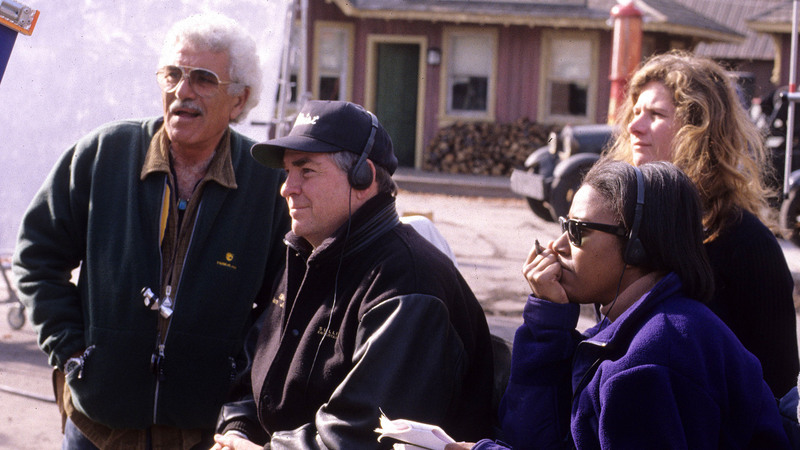 After the first season ended, however, the process of finding these filming locations and setting up became time consuming and it was decided that the town of New Bedford should be resurrected on the backlot of the Sullivan studios to maximize filming time. Since then, the same sets on the back lot have been transformed for many other Sullivan productions, including Anne of Green Gables: A New Beginning, Anne of Green Gables: The Continuing Story, Sleeping Dogs Lie, Super Rupert, Love on the Land and Mozart’s Magic Flute Diaries. Musical Themes. Introducing original compositions. When creating the theme music for Wind at My Back, composer Don Gillis worked from a piece that he originally composed for the Road to Avonlea episode Momento Mori. The theme was enjoyed so much, that when Wind at My Back first started, Don was asked to take the theme and turn it into a series of themes and sub-themes, taking on the role as the heart of the series. The result was a touching, evocative melody that viewers quickly associate with the old-fashioned and nostalgic sensibilities of the show. Don Gillis was a three-time Gemini Award nominee who contributed his musical talents to several of Kevin Sullivan’s productions, including A Wind at My Back Christmas, Road to Avonlea and An Avonlea Christmas. He was nominated for a Gemini for his compositions for two Road to Avonlea seasons in 1994 and 1995. The talent he brought to Sullivan productions was immeasurable. Sadly, halfway through Wind at My Back, Don passed away, and Peter Breiner took over the job of composing. Since then, Peter has worked closely with Kevin Sullivan on films such as Anne of Green Gables: A New Beginning and Mozart’s Magic Flute Diaries. The official TVOD streaming platform for Sullivan Entertainment. Available on iPhone, iPad, Tablet Roku and Apple TV. 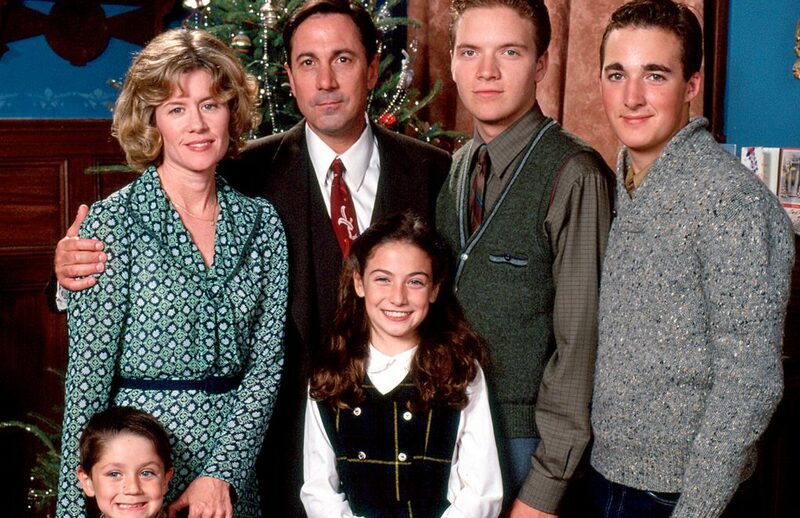 Stream classic shows now for the whole family!